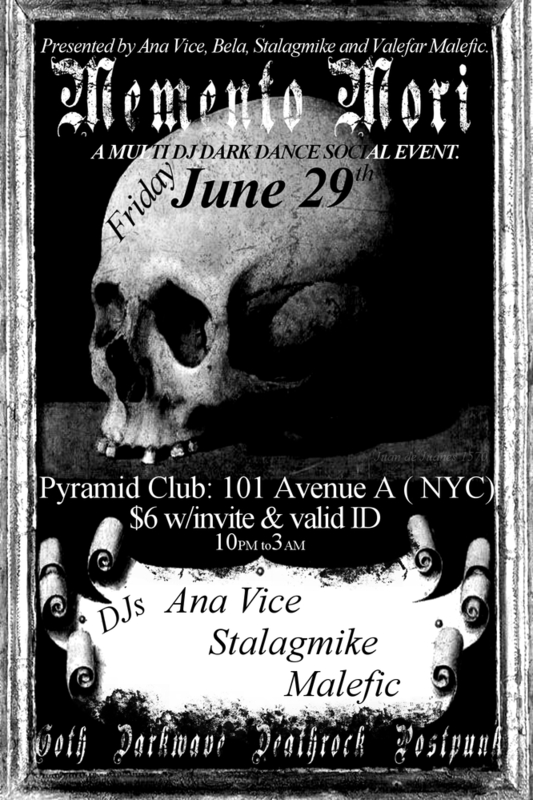 MEMENTO MORI (lower level) with resident DJs Malefic, Stalagmike, and Ana Vice spin a variety of outstanding classics, obscurities and new developments all night! Vendor: The lovely Jocelyn of necronomicharm will be vending her gothic and occult inspired jewelry! $6 cover with the invite (digital copy Facebook R.S.V.P. on phone is ok) or $8 without the invite. MEMENTO MORI starts at 10PM. 21+ and please bring valid ID. Invite design by Ana Vice 2018. Painting by Juan de Juanes 1570.